Information provided on this blog post is general in nature and does not represent financial advice. One of the easiest ways to buy and sell cryptocurrencies is using Bitcoin ATMs. They are similar to the traditional banking ATMs, easy to use and simplify the process of transacting with the new form of currency. In recent years, the number of Bitcoin ATMs has increased by over 1000%. Bitcoin ATMs could help businesses boost their sales and for someone who runs a store, a bar or any retail outlet, this is one of their biggest benefits. In 2017, Better Retailing estimated that hosting a Bitcoin ATM, can help a store increase their new customers by 25%. Hosting a Bitcoin ATM could create several revenue opportunities for businesses or entrepreneurs and different business models are available. For example, machines can be purchased and owners are involved with every aspect of operating them. Bitcoin ATM owners charge a fee for the transactions made by users. 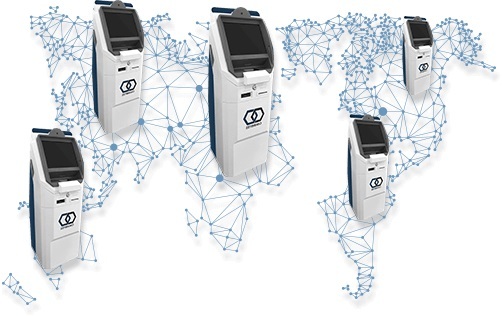 Additionally, businesses can rent the space that a Bitcoin ATM occupies for a fixed price or receive a percentage of each transaction made on the machines by partnering with operators without having to buy any equipment. Hosting a Bitcoin ATM increases the online presence of your business. There are a variety of websites that list Bitcoin ATMs locations and many cryptocurrency users actively looking for them. For obvious reasons, Bitcoin and Crypto Meetups are usually held in venues that feature a Bitcoin ATM. This creates an extra revenue opportunity for your restaurant, bar or retail space to attract new customers. At the time of writing, there are about 1.7 million members in 5,571 Bitcoin Meetup groups around the globe. Bitcoin ATMs are easy to set up and don’t require much resources. Apart from a few feet of space, a power outlet and an internet connection are required; also, very little effort is needed to set up the machines and put them in into service.